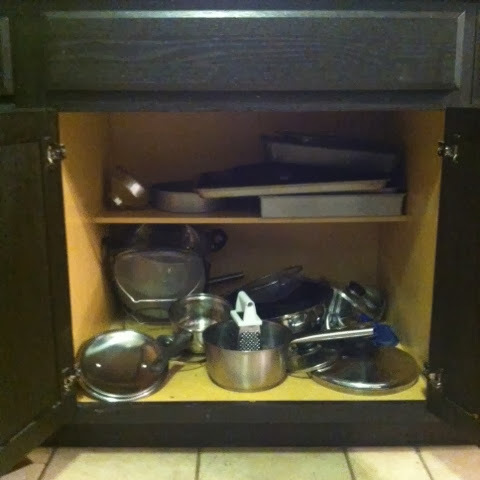 Today I tackled the pan cupboard. 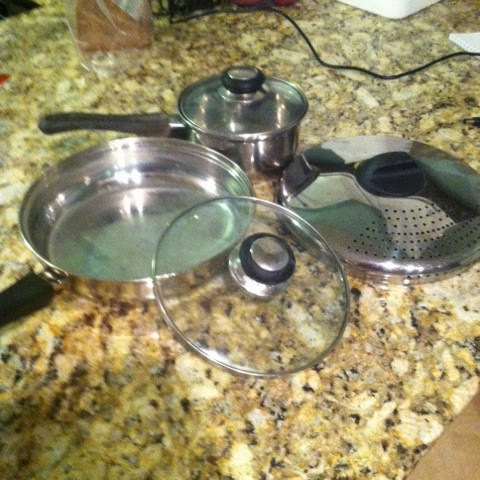 We have multiple cast iron pans so no need for the frying pan. The counter part to the small saucepan lost it's handle to a fire a couple weeks ago (was smoldering on the stove). So we figure it's not exactly safe anyways. The lids are random and go with pans we no longer have. 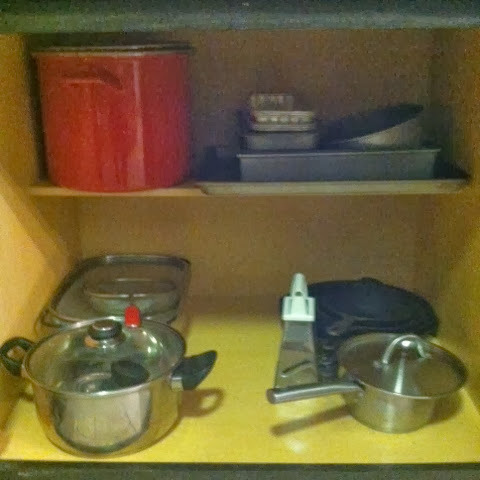 Everything but the small sauce pan is headed to a second hand store, said pan is in the garbage.